Fleets in the UK can now rent out unused vehicles to private or business travellers with the help of new digital technology that could help boost company revenues. Drivy now has over 450 cars available to hire within London. Already live in France, Germany, Spain, Austria and Belgium, the Drivy scheme launched in London late last year where it has 450 cars already. It’s now in the process of expanding across the UK – targeting business cars as well as privately owned vehicles. Vehicles can be rented by drivers through the Drivy app, while owners can also choose to install the Drivy Open technology. This includes the ability to open and start vehicles through the app, ensuring fleets never have to physically meet the hirer, check the driver’s licence or return fuel levels and mileage themselves. 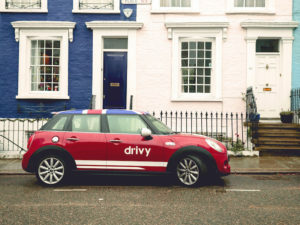 The technology also boosts hire rates – the firm says that vehicles installed with Drivy Open are hired out on average seven times more than cars without the technology installed. The scheme is backed by insurance offered through Allianz and drivers also get roadside assistance through the AA. The service is aimed at all types of vehicle owners, from SMEs to car rental agencies and even car dealerships or OEMs, and offers a dedicated account management team to help professional car owners, including with ensuring vehicles are conveniently located for hirers.